Use this domino game guide to help start the game. 4 1/4" long x 6" wide. Designed in waterproof plastic, these durable waterproof playing cards keep your hand in play at all times—surviving poolside splashes and lemonade spills when playing on the deck! Perfect for pool parties, camping trips, picnics and more, the waterproof deck of cards features classic, full-color graphics. 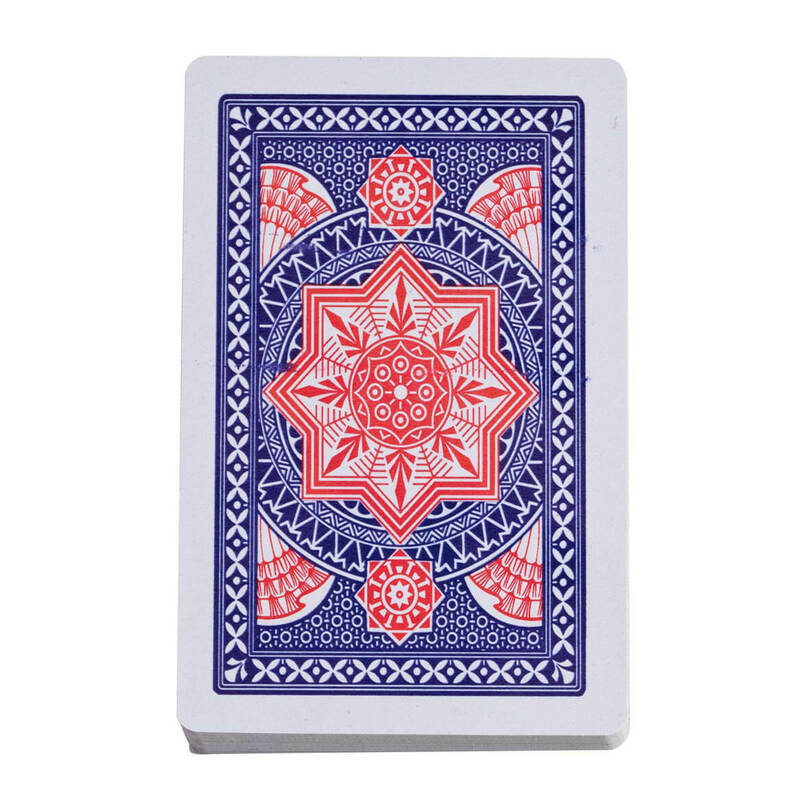 Flexible and easy to shuffle and clean, each 100% plastic playing card is 3″ x 4″. Deck includes 54 cards. Turn most any table into a casino-style game table, with sure-grip felt game table covers designed with elasticized corners. 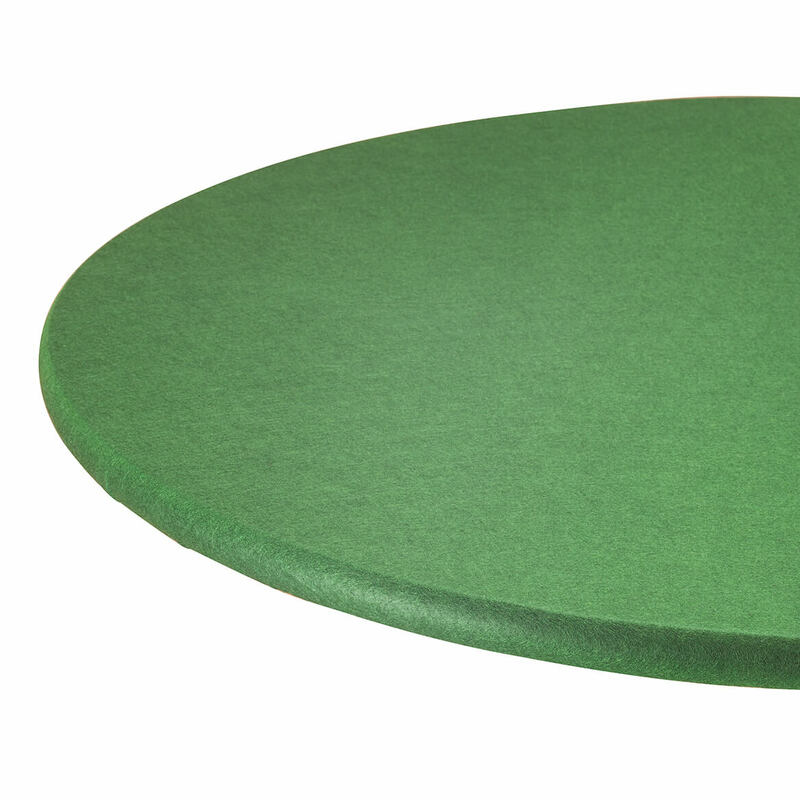 Round felt table cover fits 35″-48″dia. round, hexagon or octagonal. XL round game table cover fits 49″-66″dia. round, hexagon or octagonal. Square fits 34″-36″ square. Card table covers are 100% acrylic felt, wipe clean. Imported. Inspired by America’s longest running syndicated game show, the Wheel of Fortune® Game lets your whole family enjoy the fun. 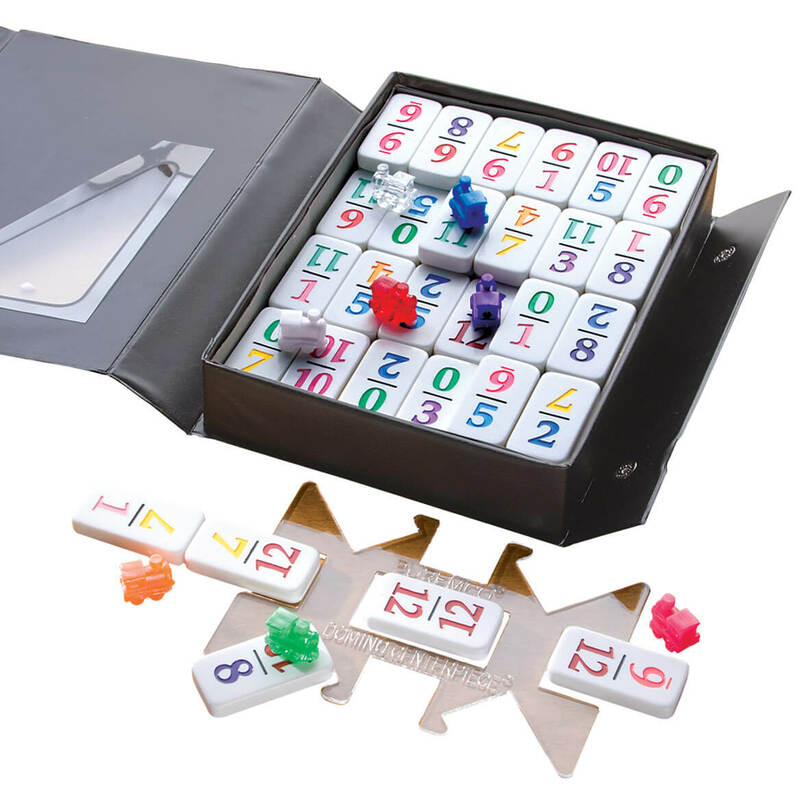 Easy to play and easy to love, the TV show board game set includes 100 puzzles in 21 categories, 1 standing plastic puzzle board with 30 letter covers and 2 legs, 1 set background, 1 backing board, 1 stack of play money, 1 wipe-off used letter chart, 1 wipe-off marker, 1 Wheel of Fortune spinner card and spinner plus 10 Free Play tokens. 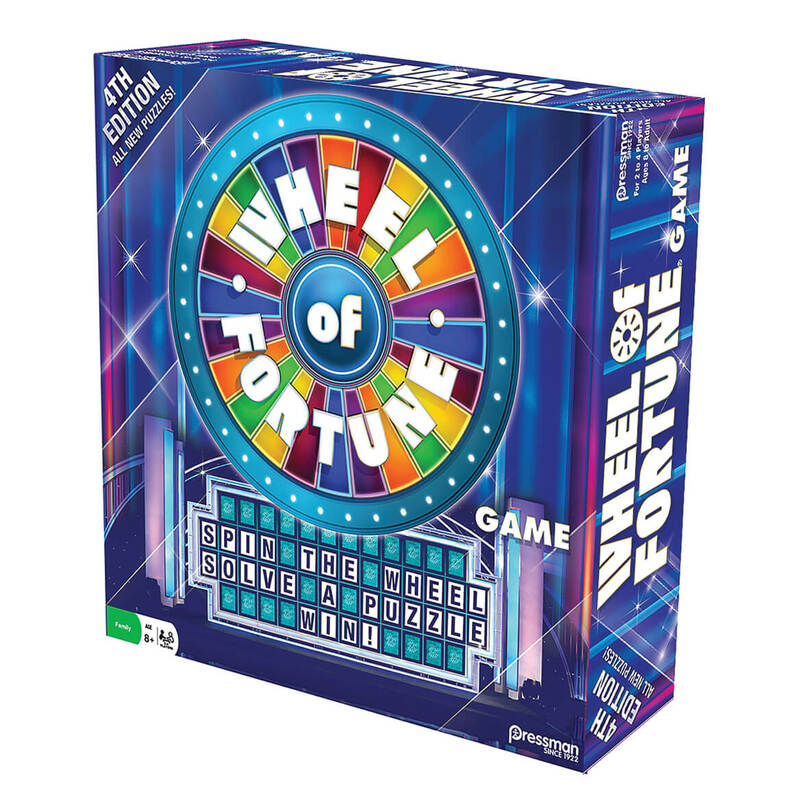 The Wheel of Fortune® board game also includes booklet listing letter frequency, puzzle solutions and rules. For 2 to 4 players. Ages 8 to adult. SMALL PARTS. Not for u003c 3 yrs. Don’t let limited hand movement stop the fun. Lightweight playing card holders stand by themselves at a comfortable viewing angle; curved edges prevent others from seeing your hand. 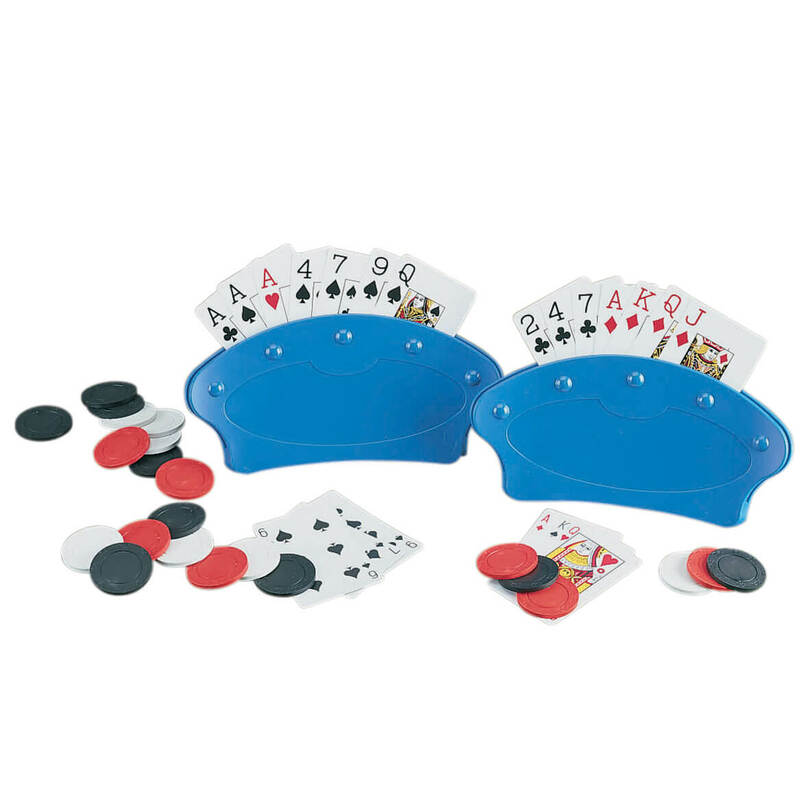 With the free standing playing card holder, easily insert/remove up to 15 cards in wide slot at top. Sturdy plastic, 8 1/2″ across, 4″ high. Set of 2 game card holders. These wooden playing card holders free up your hands for other game essentials—like snacks, beverages and cramp-free comfort! Perfect for players with arthritis or strength challenges, the freestanding holders feature 4 tiered slots in ascending heights, making it easy to organize and view an entire hand. 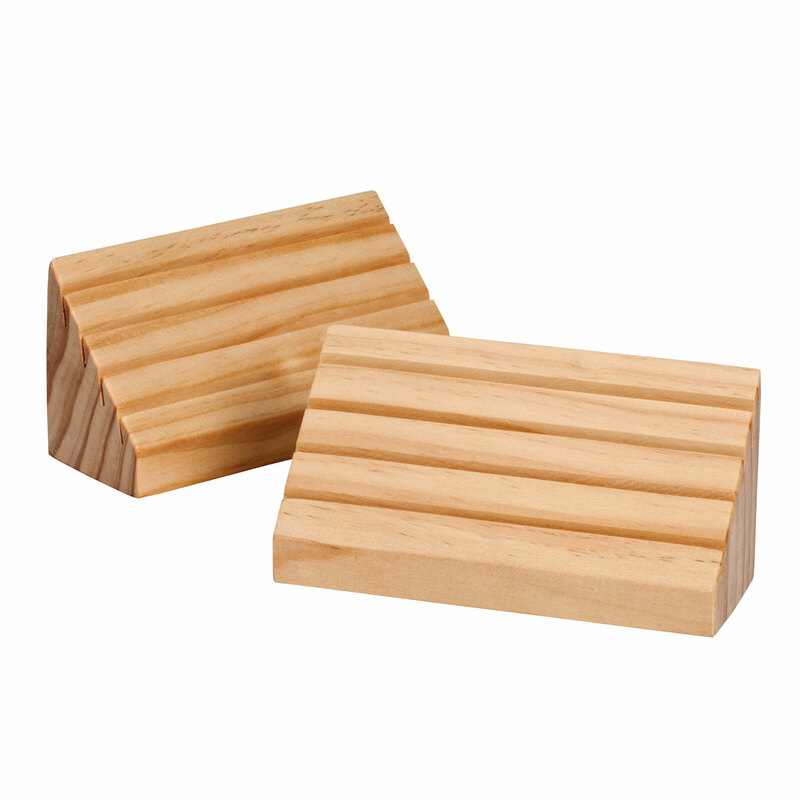 Crafted of solid pine, the sturdy card stands feature rubber feet to protect furniture surfaces. Set of 2 card holder stands. Each, 6″ long x 2 1/4″ wide x 3″ high. Domino night just got better (25 times better! ), thanks to this Let’s Play™ 25 Domino Games set! 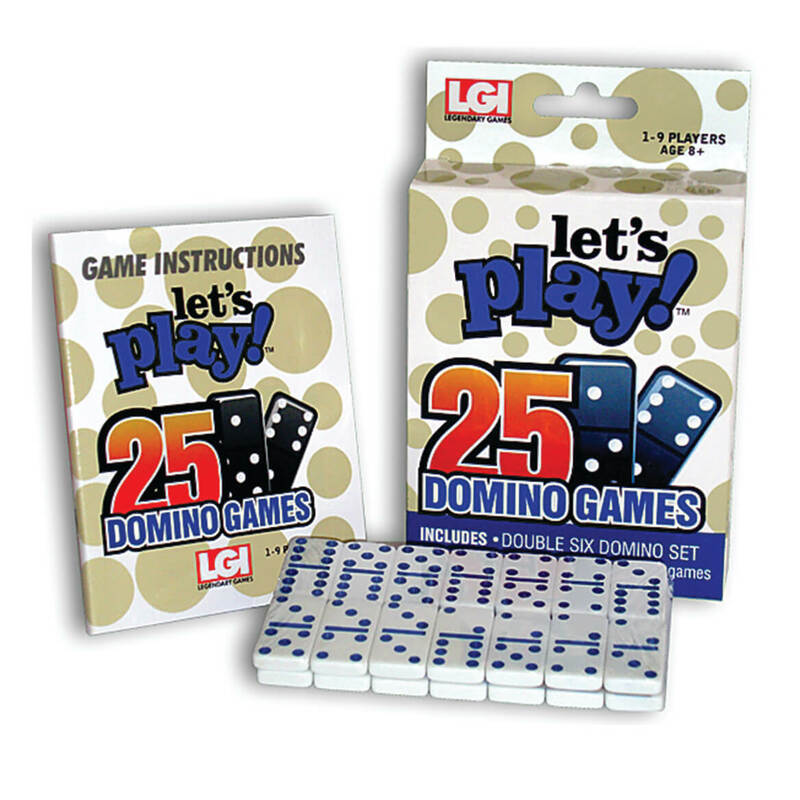 The small, easy-traveling dominoes game set includes one set of Double-Six Dominoes, plus simple instructions for 25 Domino games. Learn how to play: All Fives, All Threes, Baronet, Bergen, Black Jack, Blind Hughie, Block Dominoes, Concentration, Cross, Draw Dominoes, Flower and Scorpion, Fortress, Matador, Mexican Train, Moon, Muggins, One-Arm Joe, Patience, Poker, Sebastopol, Seven-Toed Pete, Stack Solitaire, Texas 42, Tiddly-Wink and War. 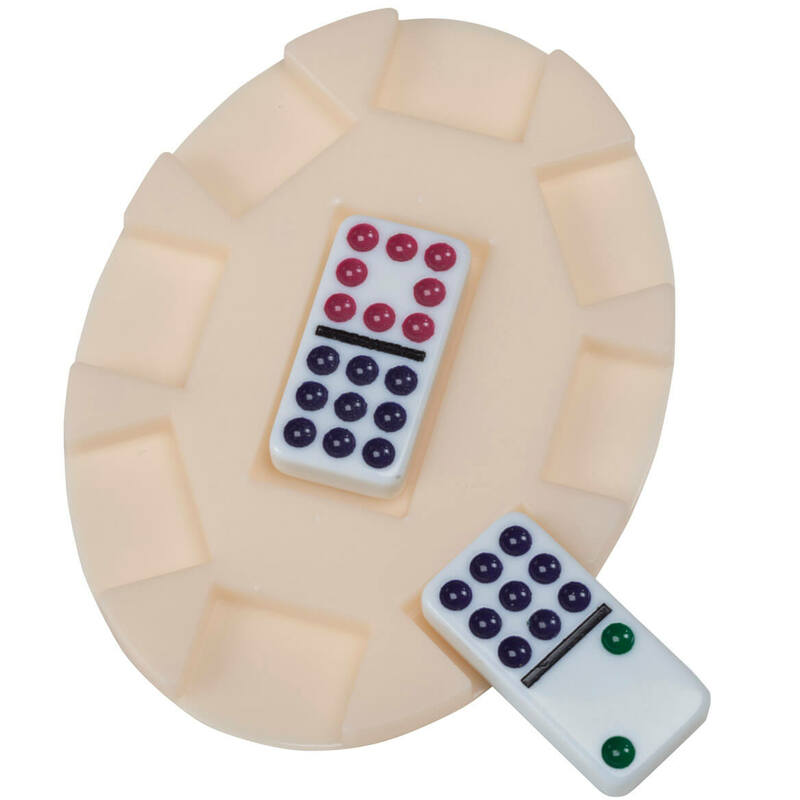 Domino set for 1 – 9 players, ages 8 and up. SMALL PARTS. Not for u003c 3 yrs. Your favorite childhood game now lets you experience the great outdoors in this special MONOPOLY®: National Parks Edition! 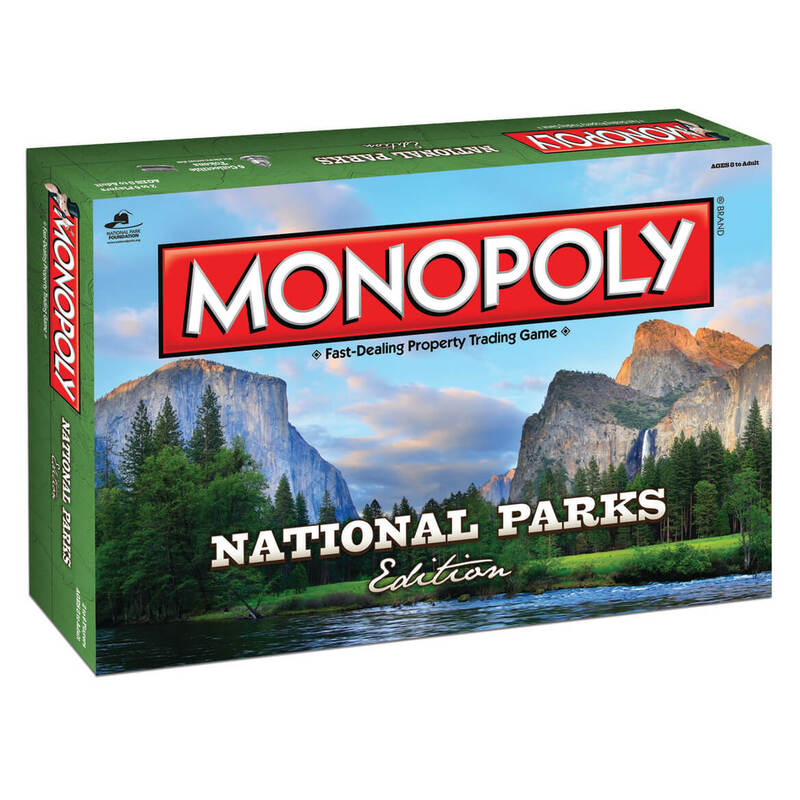 Highlighting more than 60 of America’s National Parks and animals who call them “home”, this Monopoly® game uses its traditional rules to take players on a cross-country adventure while buying, selling and trading the diversity of these iconic treasures. This Monopoly® board game includes 6 fun tokens: ranger hat, tent, canoe, bison, hiking boot and camera. For 2 to 6 players. Ages 8 and up. SMALL PARTS. Not for u003c 3 yrs. 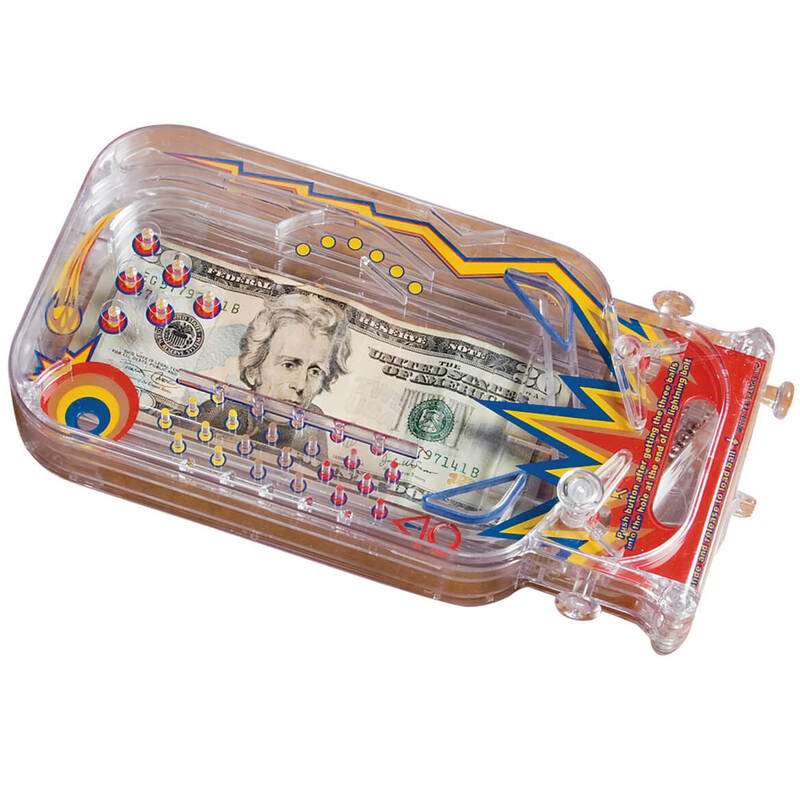 Pinball Machine Cash Holder gets your recipient to work for your gift of money, making it lots more fun! Stash cash inside this real pinball game, and when recipient lands all three balls in, the gift drawer can be opened, revealing the prize. Instructions included. 9″Lx4 3/4″W.